Looking to get the IOSH Working Safely Certificate? Order now and start the course today! IOSH stands for the Institution of Occupational Safety & Health. It is an organisation that designs and accredits training courses to equip various industries with tried and true practices, and principles of workplace health and safety. One of the training courses it has come up with is the IOSH Working Safely Training course which consists of the following subjects. This includes all primary safety issues in the workplace. This subject makes it clear that even established routines can present risks and serious consequences. Sheds light on aspects of work operations that affect the environment and teaches how to reduce or completely eliminate negative effects. Acknowledging how most people hoping to become IOSH-certified are so busy, the training course is designed for ease and flexibility to accommodate the unique schedule of learners. Creating it for eLearning makes the course easier for people to commit to and complete; all they need to do is sign up online, pay for the course, and then work a manageable schedule. What are the benefits of taking the training course? The course is not designed to turn people into safety experts. However, all who choose to take it have much to gain in learning why health and safety are integral to what they do as industry professionals, and the benefits of being “informed” can extend to their own personal lives. It’s perfect if you are looking to get a CSCS Green Card! Why you should sign up for the course? Needless to say, any type of safety training is worth your time and money. And if you’re part of an industry that’s considered high-risk, then there’s more reason for you to get it. The IOSH Working Safely Training is not just a requirement for employees in hazardous and strenuous work environments, but it’s also a commitment to competitiveness. This is the course you need if you are looking at attaining your CSCS Green Card. The course is actually for people at any level, in any sector, needing grounding in the essentials of health and safety. Everyone at work, especially those in production, manufacturing, construction and other potentially dangerous operations, should have an understanding of why they must “work safely.” This training course is the best way to create a solid foundation for the effective application of health and safety practices in their high-risk work environments. 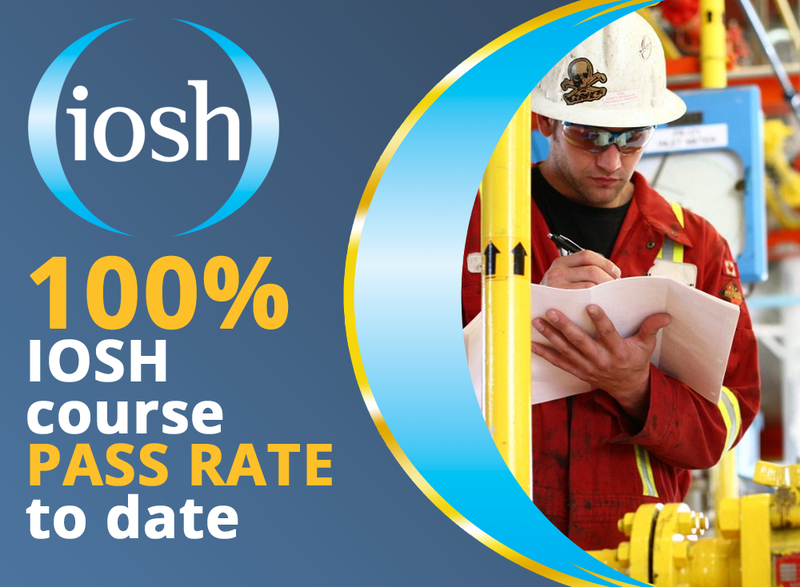 The course follows the latest IOSH Working Safely syllabus and consists of 4 modules, end of module quizzes, mock exams, free tutor support and an interactive, presentation style format. Your online exam and IOSH Certificate is included in the low price as well! The IOSH Working Safely exam process is entirely online! There are two, easy to complete, online exams for you to complete. You will have a short multiple choice exam and a spot the hazard exam as well. But don't worry! We supply everything you need to be successful including detailed guidance and all of the forms you need to complete. We've got you covered! Full tutor support is given with your course. You don't need to feel like you are along during your studies. If you have any questions, the tutor is there to help. Most tutor support questions can be answered by a quick email exchange but if a phone call is in order, the tutor will arrange a convenient time for a call so it doesn't disturb your schedule. All of that at no additional cost to you. Don't fall for another cheap course that doesn't support you or worse yet, makes you pay for it! We are here to help you pass your course.